Unknown, oriental art . Signed as 32/103 and signed. Local auction tucked in a box of books. Thank you for submitting your item for appraisal. 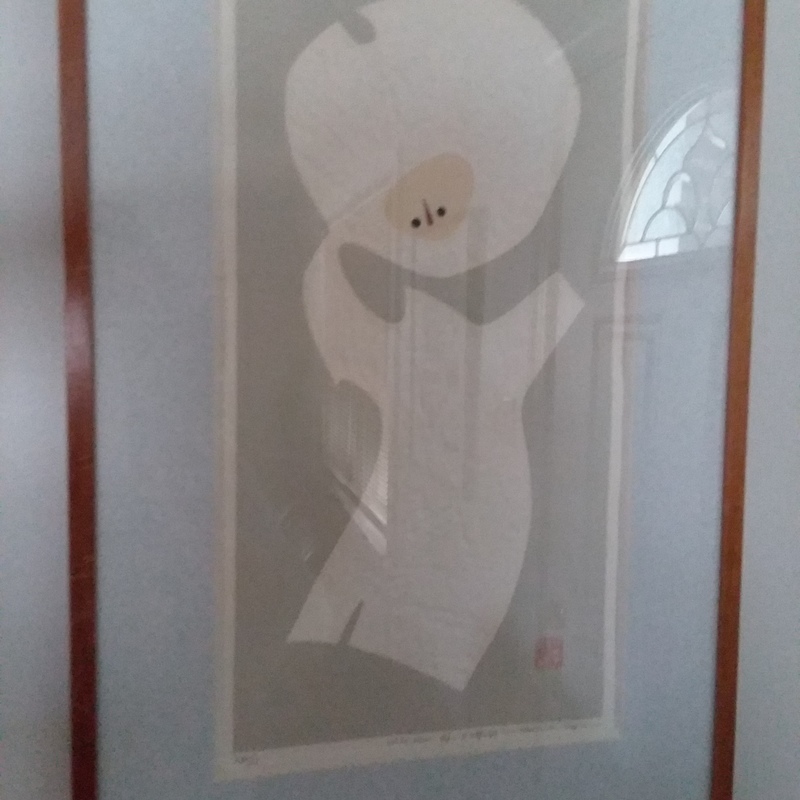 This appears to be a woodblock print by Maki Haku 巻白, (1924-2000).Haku Maki was born in Ibaraki Prefecture in 1924 as Maejima Tadaaki, in his late twenties he chose the name "white roll" as his name. His catalogue raisonné is currently being compiled. Auction results are very diverse. This particular piece 73-5 has not been sold in the recent past. If put up for auction the result would most likely be within the range listed above. Naturally more prints are sold for very low modest prices. Thank you for the prompt response. It is appreciated.